The CCF is very grateful for the generosity of those who donated to the Emergency Storm Relief. The CCF raised £183,000 during the appeal and has to date distributed over £135,000 to individuals and community groups who were severely affected in Cornwall by the winter storms. The Foundation has supported nearly 100 individuals in the last two months through grants ranging from £250 to £5000. The Emergency Storm Fund is now closed to applications, and the remaining funds are ring-fenced for emergency assistance. The CCF received £50,000 from Wren Living, the UK’s fastest growing kitchen, bedroom and furniture retailer. 38 Degrees, the not-for-profit organisation that campaigns on a wide range of issues, have supported several community foundations in the South West and have donated an incredible £15,000 to the Emergency Fund. Tesco stores across Cornwall raised over £13,000 and Seasalt, the Cornish fashion company kindly donated £500. An incredible fundraising concert organised by Alan Dibb raised over £600 for the Storm Fund at The Seahorse Centre at Pentewan Sand Holiday Park. Susie Greenslade and Adam Nicholls organised a fundraising concert at St Paul’s, Chacewater that raised £500 for the victims of the storms. 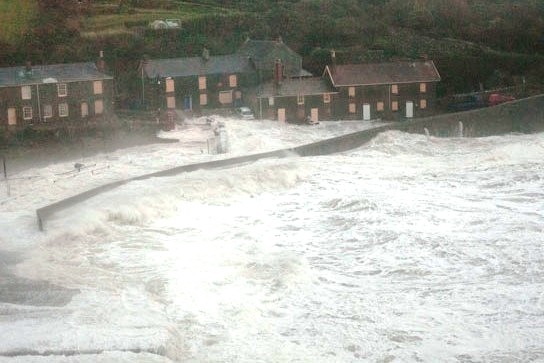 Some of those most severely affected by the storms were the fishing communities in Cornwall. The CCF’s next fundraising event, the Family Fish Feast on Sunday the 14th of September 2014 at The Headland Hotel, in Newquay, will raise money for Cornwall’s fishermen. Sanjay Kumar, Senior Sous Chef of the Headland Hotel, will be cooking delicious fish dishes from local sources.